Easily measure your concentrated products without the risk of a mess! The Plastic Caps are the perfect replacement cap for this bottle. The DI Accessories Twin Neck Measure and Pour Bottle allows you to easily store and measure any concentrated product with ease. When diluting products it is easy to accidentally spill or overpour some of the product during the process. This spilled product is money down the drain and leaves us wondering if there was an easier way. Well, there is! The DI Accessories Twin Neck Measure and Pour Bottle incorporates the measuring cup directly in the bottle, so no more spilling valuable product. With a simple squeeze of this 16oz bottle, the 1oz reservoir will fill. Once it is completely full, simply dump the 1oz of solution into your desired bottle, bucket, etc. This process helps guarantee an accurate pour each time, without the risk of mess! 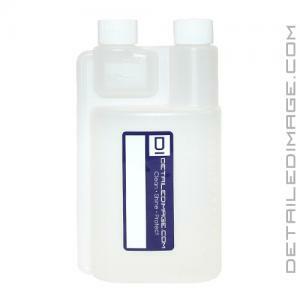 Use this bottle with your favorite instant detailer, degreaser, shampoo, and much more. Ditch the measuring cup and use the DI Accessories Twin Neck Measure and Pour Bottle with your favorite products today! If you happen to lose or break any of the caps this bottle comes with, DI Accessories Plastic Caps are the perfect replacement. I use these bottles for a lot of my concentrated products such as all purpose cleaners, degreasers, tire cleaner, and it is an absolute must for easily mixing rinseless washes and waterless washes. It may seem silly to get so excited about a plastic bottle, but in my opinion, these are the easiest way I have found to store, measure, and pour your chemicals. I highly recommend you grab some to make your life just a little bit simpler. Nice bottle. I use it for measuring out ONR for rinse less washing. Sure you could just use the cap from the gallon, but it's nice having the precise measurement quickly every time. Very handy. 1/2 and 1 ounce markings. 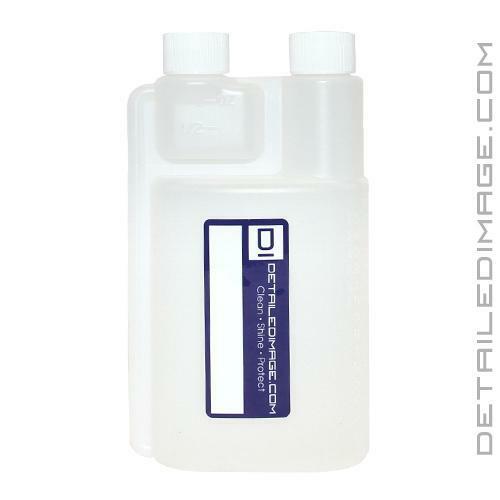 Great for thin liquids up to and including Carpro Reset but thicker car soaps (Megs Hyper Wash) are difficult to squeeze through the narrow fill tube.